Football coach Gilbert Yaounde Kanyankore has agreed a deal to replace Vincent Mashami as the new head coach of Bugesera FC according to sources from the club. The decision to appoint Kanyankore follows a new role offered to Mashami as the assistant coach of the national football team Amavubi by local football body FERWAFA. Silas Mbonigaba the secretary general of Bugesera FC has confirmed that Kanyankore has already agreed to take up the reins at the club until when the league ends. Kanyankore has been out of work for eight months, he was theatrical when shown the door last September, just a month after being appointed as head coach of APR. 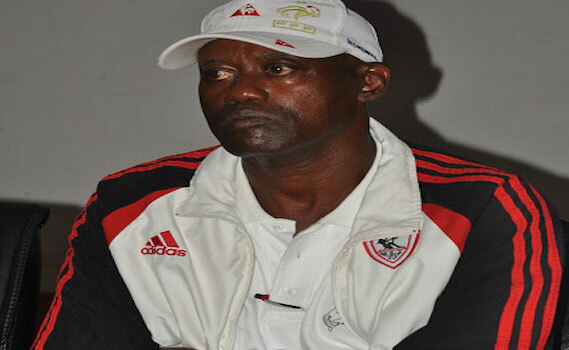 The decision to sack him is ascribed to his failure to win East African Community Military Football Cup. The veteran coach previously served as head coach in Burundi for years, including a spell as coach of Burundi champions Vital’O FC. The former Rayon Sports and Kiyovu FC tactician was also handed the Amavubi role following the ultimate sacking of Irishman John McKinstry. But he was later on relieved of this task without even handling any game due to failure to agree on terms of the work. It was because of this controversy that later on triggered his sacking by APR FC.